Anddd..handbag da beli!! 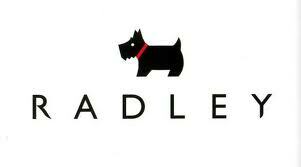 Ohh..macam orang gile ble nampak Radley. Lame btul nk decide. Sep bek Mr.Fiancee jenis sabar menanti (hugs!) Siap beli dua sebab xtau nk decide. Its not the kind of yang people used to buy for hantaran. Normally people opt to have more formal or yang ade bling sket but ini perempuan tak reti. Die mau yg macam koboi la,ape la. Sep bek Radley provide a very cute yet practical nyer handbag. Just to hear she describe the situation dah makes me wana cry. Klu buat betul2? Aa..nangis confirm. But I kinda like the tradition so that we remember what the parents have done to raise ourself and be an adult. Kind of thing that she suggest that people should do. Biar meresap kedalam jiwa masa nikah tu. Thats what she said.